The formwork and climbing scaffold are linked together as a single unit which can be repositioned in just one crane-lift. 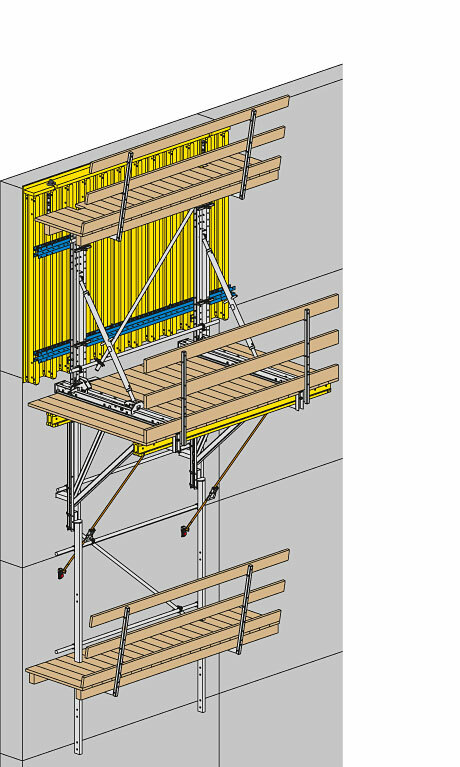 On structures with straight walls, Climbing formwork MF 240 permits casting sections that are up to 6 m high. 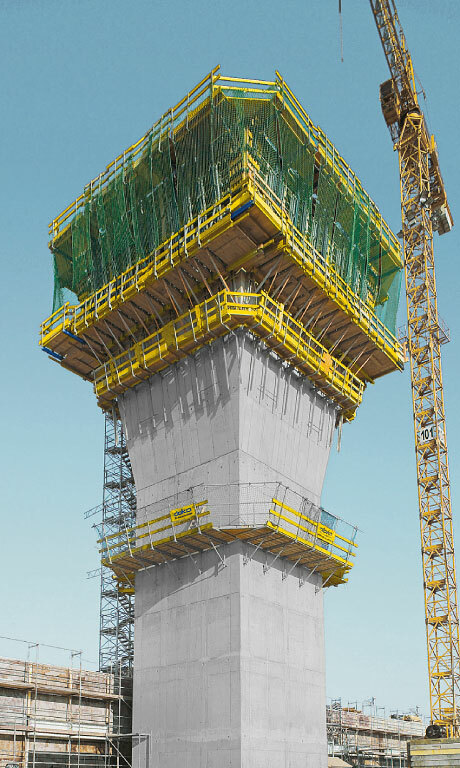 Even very complex structural shapes can be constructed using Climbing formwork MF240. Thanks to its practical constructional design, Climbing formwork MF240 can be adapted to highly diverse requirements, easily and very flexibly. Stringent requirements regarding workplace safety call for outstandingly good formwork. The 2.40 m wide platforms on Climbing formwork MF240 provide plenty of space for fast, safe working and make a fully railed-in platform system. In service worldwide. With worldwide success. 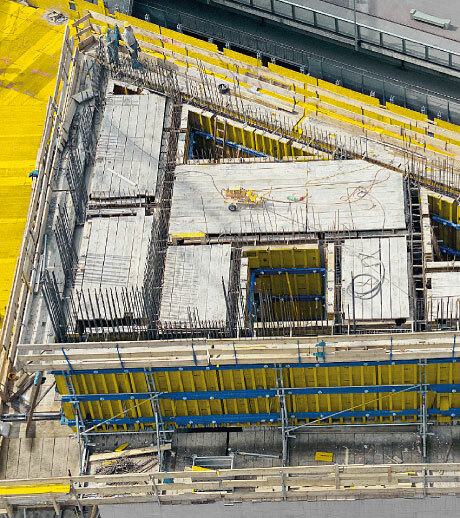 Based on Doka's decades-long experience of widely differing construction tasks, in many different countries, Climbing formwork MF240 is the crane-jumped solution that covers the entire architectural spectrum. Thank you for your interest - Climbing formwork MF240. Thank you very much for your interest - Climbing formwork MF240.